Kitchen manager Myles Louis Dakan created this fancy when-the-coffee-was-brewed app based on a suggestion from a friend who’d seen something like it on Pinterest. 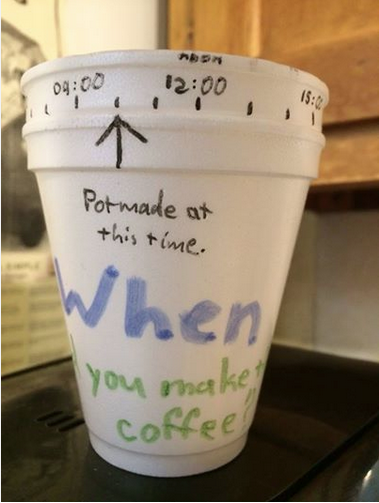 Useful in a house of 21 people, where the first pot is often brewed before 6 a.m. Just twist the top cup to indicate the time. No batteries required.